All over the world there is an increasing recognition of the importance of sports for social development. Sporting Chance Forum was held in Paris between December 12 and 13, 2018 while just a week before that International Sport Convention in Switzerland had a dedicated forum on Sports and Sustainable Development Goals. Football legend Didier Drogba, recently retired from playing, was appointed as Vice President of the Peace and Sport Foundation, one of the major entities promoting sports for development. This is positive but we need to double the efforts to link it with mainstream sports. 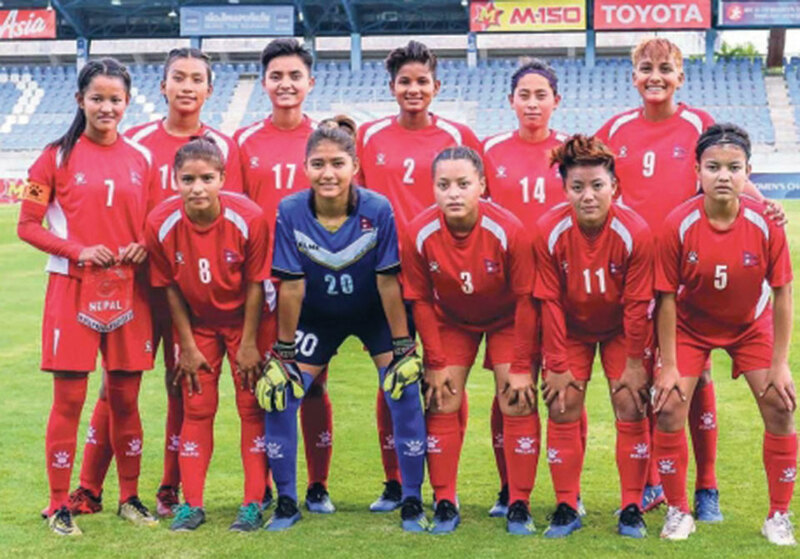 While Nepal is still lagging behind in terms of policy discussions and sharing of best practices in this surging area that lies between traditional development practices and sports for entertainment, few positive things are happening. The National Sport Council has been active in advancing adaptive or para-sports. In July, 2018 National Para Games were organized and these days a consortium of leading not for profits led by persons with disabilities are running the Para Championships. It is just unfortunate that many people are not aware of dedication and efforts put by these athletes. Promoting para-sports serves competitive and social nature. Nepal counts athletes with disabilities who are competing to win and excel at the highest levels while at the same time, their efforts are significantly contributing to raise awareness on social inclusion and disability rights. Highlighting both social and more agonistic dimensions is a key because it helps linking para-sports disciplines, still on the fringes, with mainstream sports events. While there is a need to promote and support programs focused on sports for development, social inclusion and justice, it is very important to bridge this existing gap between these efforts and what is perceived as a mainstream professional entertainment industry. There is no doubt that encouraging signs are emerging in Nepal’s sports. Football and cricket fans can count on more structured, quality focused domestic leagues that have a good following and a raising visibility. But if we need to make sure that social aspects of sports also thrive and that sports playing can thrive in its all multifaceted dimensions, linking all its elements now disconnected. First, professionally, sports should be played by women and men alike without any forms of discrimination in terms of gender and disabilities. Treatments of players based on gender, disabilities, race and creed should be banned. Sports should instead be the unifying tool that breaks down artificially constructed barriers that separate and divide people instead of bringing them together. But as things stand, women players with and without disabilities are systematically discriminated. Not only in Nepal but all over the world even the greatest female athletes receive less attractive awards or endorsements. A stronger social dimension of sports would help overcome power dynamics between men and women in all spheres of the society. 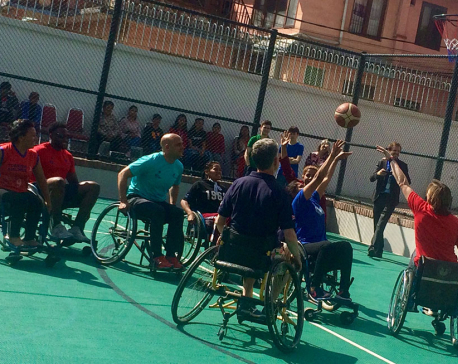 In an international wheelchair basketball competition played two years ago with teams from India and Bangladesh, Nepali women players did not receive the same treatment in terms of remuneration that their male counterparts did. National women players without disabilities are normally considered and treated as second class athletes. This must change. Para-sports must be supported sustainably. We need more tournaments, we need more corporate sponsorships and we need more visibility and following. Second, sports are loved not just because of big competitions and great champions. It attracts so much interest because it can be practiced by anyone. Unfortunately amateur competitions with citizens from different age groups enjoying “doing” sports is still not so popular probably because of lack of green spaces. Civic Associations should pressure local governments to promote local clubs and associations, providing funding for infrastructures and equipment. Private sector should play a very important role. Even small donations could really make the difference. Schools and colleges can be the trailblazers. Public, community schools can also be part of the equation, ensuring that children from lower classes and most marginalized groups are not going to miss out on this great personal development platform. Donor agencies should systematically embrace sports to achieve their goals. They should do that through a “patient” investment approach akin to those venture investors that are not in rush to reap from the startup they have invested on. Likewise, national professional players and franchises owners must be involved and encouraged to embrace the social dimension of sports. The upcoming South Asia Games will be an opportunity to present a united front, holistically showcasing Nepal’s best practices in sports. A batch of top national Para athletes has been visiting Japan to undertake intensive trainings with top experts. Hopefully a good number of them will be able to qualify for the Paralympic Games in Tokyo. These athletes must be able to go “main-stream”and must be supported to form partnership with other athletes to advocate for a common agenda to improve their rights and working conditions. With the Tokyo 2020 now less than two years away the country cannot afford to lose any more time. Sports for development and professional sports must be seen not just as a continuum but as complementary and reinforcing tools to change the society for better.